Whether it's Mother's Day, Valentine's Day, a friend's birthday, or simply because you're in the doghouse, put a smile on someone's face with a fresh bouquet of flowers. 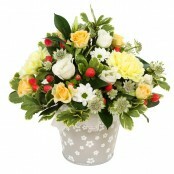 Get the pick of the bunch from Flowercraft we deliver flowers same day in and around Scarawalsh Bridge. 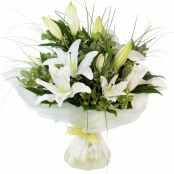 Please order before midday to guarantee same day flower delivery in Scarawalsh Bridge. Below is a selection of flowers that can be delivered the same day in Scarawalsh Bridge if ordered by 2.00pm (depending on stock levels). We can also deliver flowers the same day in the following areas Inis Córthaidh, Enniscorthy, Cherryorchard Bridge, Knockinarshat Cross Roads, Monart, Milehouse, Clonhasten Cross Roads, Ballynapierce Bridge, Brownswood, Ballygillistown, Garry Bridge, Cooladine Cross Roads, Aughnacrow Bridge, Marley Bridge, Kiltrea Bridge, Coolnahorna, Mye Cross Roads, Bunn Bridge, Kilpierce, Tomacurry, Ballyrannel, Ballysinon, Glenbrien, Glenbryan, Kilcolly, Kilcotty, Cloheden, Bree, Tinnacross Cross Roads, Courtnaenddy Cross Roads, Oilgate, Ballycarney, Castledockrell, Ballindaggan, Ballaghkeen, Ferns, Boleyvogue, Killann, Oulart, Raheenduff Cross Roads, Rathnure, The Leap, Kiltealy, Clohamon, Adamstown, Camolin, Bun Clóidi, Bunclody, Davidstown, Askamore, Coolmela, Clonegal, Foulkesmills, Ballon, County Wexford and many more. 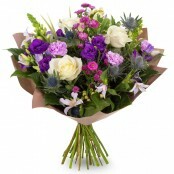 Please call us on +353 (0) 53 923 5698 to see if we can deliver flowers in your area.